Beachside Motorsports located in Panama City Beach, FL is a Golf Cart, Paddle Board, Bicycle & Kayak rental company in Panama City Beach. Beachside Motorsports has two main goals, to offer recreational rentals at a fair price and to have satisfied customers! Beachside Motorsports is a family friendly, safe rental business in Panama City Beach. We vow to be a rental company that you would refer to your family and friends. We strive to offer anyone living in, or visiting Panama City Beach a fun filled day in one of our rentals that will not result in the headache of losing your deposit. We saw a need in the market to provide this type of service without customers having the worry of being ripped off. Beachside Motorsports offers a full service, customer friendly rental experience. We will let you rent one of our products for as little as 30 minutes, or as long as a full month, depending on your needs during your visit to Panama City Beach. We will deliver your rental right to your doorstep if requested. Our rentals available in Panama City Beach provide fun, safe & honest entertainment in Panama City Beach. So….. What are you waiting for? 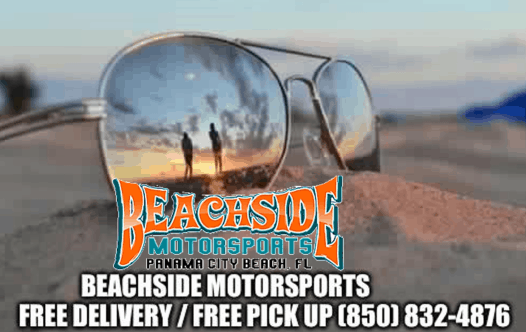 Quit reading and click the button below to make your reservation with Beachside Motorsports TODAY! Are you and your family looking for things to do in Panama City Beach? 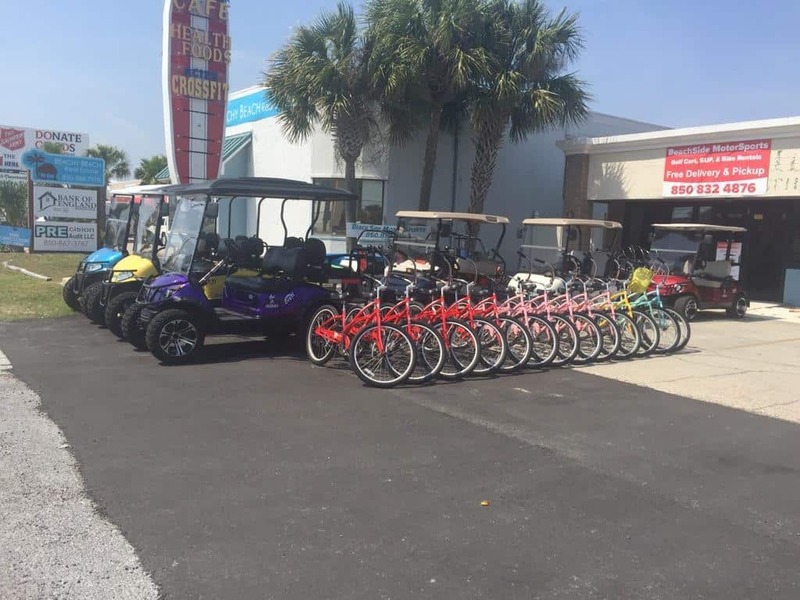 Well come visit us at Beach-Side Motorsports for family fun on the beach with any of our golf cart rentals, kayak rentals, bicycle rentals or paddle-board rentals. Beach-Side Motorsports in Panama City Beach rents bicycles and more... but we give away smiles for our customers to display on their faces while enjoying their day on the beach with any of our spectacular beach rentals. Beach-side Motorsports in Panama City Beach is here to help MAXIMIZE your day of fun in the sun in Panama City Beach! Contact us today. What are you waiting for? Click the button to view all of our quality beach fun rentals!